Luang Prabang to Hanoi. My partner and I were both unwell prior to this flight so weren't looking forward to it. 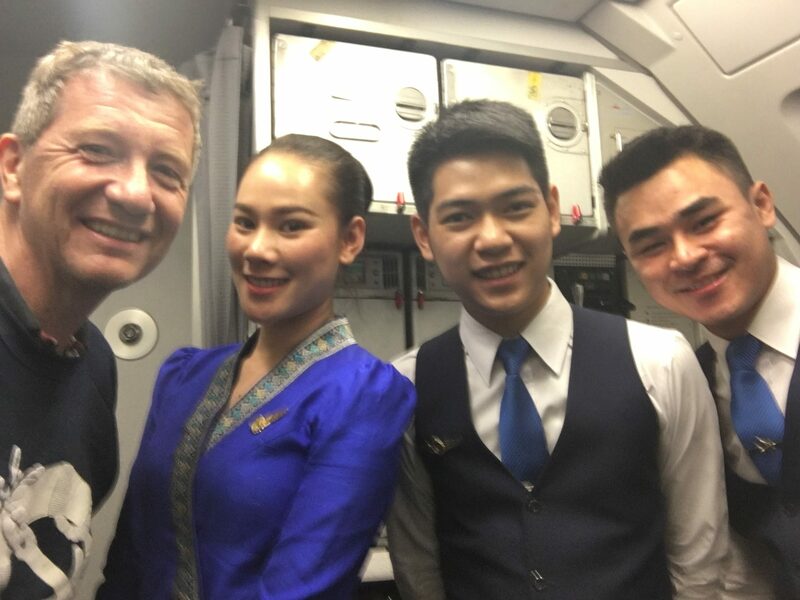 Simple check-in friendly crew and smooth flight even when landing at Hanoi in a typical afternoon storm. The plane was a clean and new ATR. Hanoi - Luang Prabang Luang Prabang - Chang Mai. Aircraft clean and modern. FA's friendly and professional. Although both flights were only about an hour long we were served a rather good meal and drinks. Siem Reap to Pakse. Very happy with this flight. We were not sure what to expect but the plane ATR-72 500 was very clean with new upholstery and plenty of leg room. Not that leg room was an issue with only 16 people on board. The flight is 40 minutes and was on time a free snack was served shortly after take-off and a bottle of water which was good given the flight duration was so short. 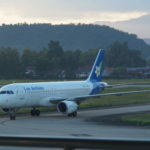 Pakse to Vientiane nice new aircraft on time good service would be happy to fly again with this airline. 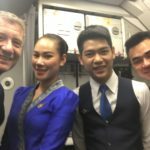 BKK-VTE - very clean cabin and good service very friendly and helpful staff. Departure and arrival on time. 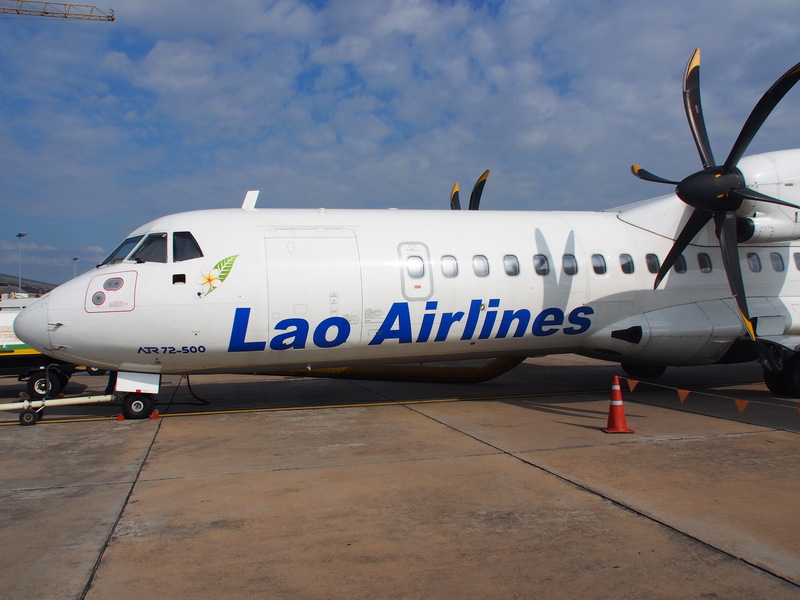 Luang Prabang to Siem Reap on a 70 seat turbo-prop. The plane was clean service fine flight comfortable. Short stop in Savannakhet and arrived in Siem Reap 30 minutes early. Vientiane-Luang Prabang return. Short flight only 40 minutes. First flight was flown with new ATR72-500. Nice leather seats. Very cold air conditioning. Serve only a glass of water (last time was cookie and water ) clean cabin with friendly crew. The return flight was by MA60 delayed about 20 minutes. The same served with a glass of water and serviced by friendly crews. Bangkok-Vientiane. The aircraft was clean a new ATR72-500. Tuna sandwich with some choices of drinks. FAs were helpful and kind. Vientiane to Hanoi route is a code share with Vietnam Airlines but if you book with Lao Airlines the price is significantly lower (though still a fair sum considering the distance). Equipment on this route was a new Chinese made Xian MA 60 aircraft. This turbo prop aircraft offers adequate comfort for its size in a 2-2 configuration throughout. Though there is apparently a business option on this route it is very difficult to see the benefit and indeed as the usual entry to the cabin is at the rear a seat at the back is preferable for many. Though the flight is just over an hour a reasonable box meal is served comprising a fresh sandwich (tuna on this flight) fruit a biscuit and a drink. In addition tea and coffee are served by the friendly crew. Coupled to this the check in process whilst entirely manual is reasonably swift Vientiane airport is small but pleasant and bags were delivered quite swiftly on arrival in Hanoi. 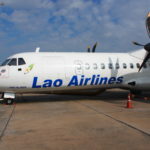 My wife is not keen on small aircraft and said she would rather not fly this type of aircraft again; I on the other hand certainly would and can recommend Lao Airlines (who also have some jet ATR 72s in a fleet and no Russian antiques) to anyone. 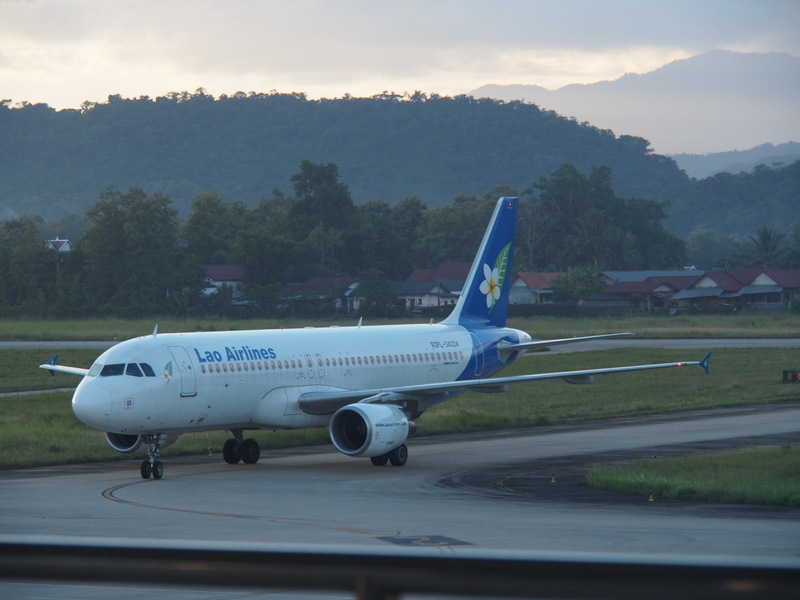 Vientiane-Luang Prabang-Bangkok In November Both flights were on time and the aircraft were clean. Cabin crew were courteous and a small snack was provided on both flights. I would be happy to fly with this airline again.